Rockland County witnessed a spectacle at this week’s committee meetings of the County Legislature. The topic: the county-owned Sain Building. Lest there be any doubt here is the take-away: The interests of Rockland County taxpayers and the interests of the Ramapo Democratic delegation are not the same. The Ramapo Democrats went on record supporting big government, big spending, big taxes, big deficits. I firmly believe the people of Rockland County are better served by just the opposite. My administration proudly stands for smaller government, smaller spending, smaller taxes and NO deficit. Let’s not forget that residents have a choice at the voting booth about which vision they want. A good thing to keep in mind as one of the architects of this mess runs for a county judgeship. These starkly different views of Rockland’s future and who should be entrusted with it are crystallized in one issue – the Sain Building. Up before two legislative subcommittees Tuesday night was a motion to declare the Sain Building surplus. Such a vote would allow the full Legislature to vote on a sale. The facts are not in dispute. The building at 18 New Hempstead Road has outlived its usefulness. Rockland County government is getting smaller – decreasing 22 percent under my watch. Employees in the Sain Building are being moved to the county complex in Pomona regardless. A well-regarded, well-financed buyer has TWICE offered to buy the Sain Building — once when my office advertised the building for sale and the other time when the legislature did. The potential buyer has offered $4.51 million – $510,000 above the appraised value. 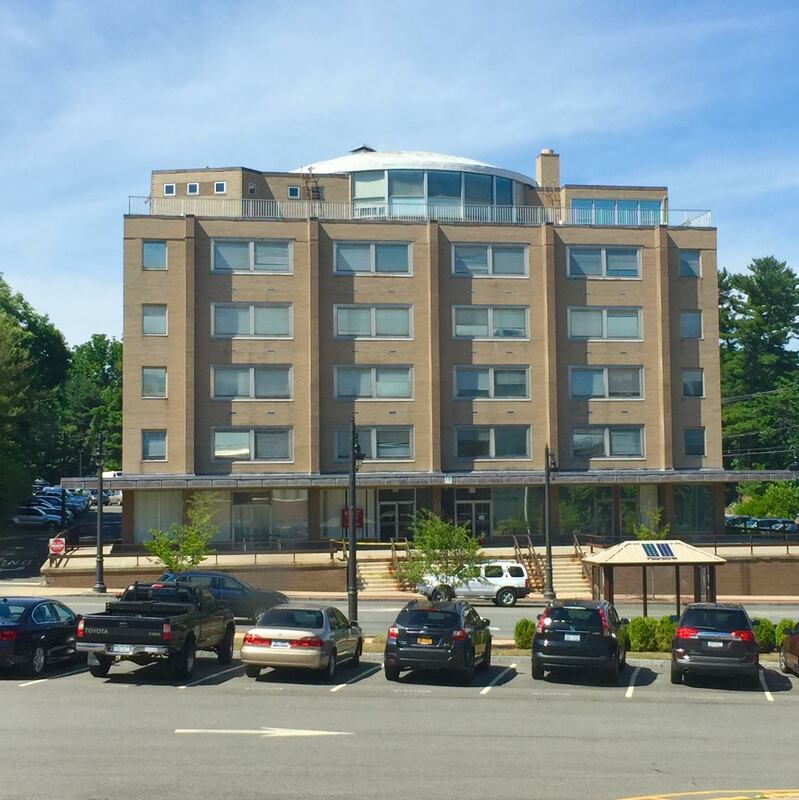 He wants to replace the deteriorating building with senior housing, a plan that Clarkstown favors. The sale would wipe out 40 percent of the remaining deficit that I inherited. This deal is a win for everyone – Rockland County taxpayers, county employees and residents of Clarkstown, who would see $500,000 in new tax revenue. Why, then, have the Ramapo Democrats been blocking it for well over a year? The Ramapo cabal is even holding members of its own party hostage to an agenda that benefits a select few. Case in point, during the Sain discussion on the floor of the Legislature, one of the Ramapo Democrats, Ilan Schoenberger, hurled a vulgarity at his own colleagues, Jay Hood. Legislator Hood chose to do right by the people of Rockland County – he heard the facts and voted to declare the Sain Building surplus. So did Republicans Lon Hofstein and Laurie Santulli on the Budget and Finance Committee along with Democrats Michael Grant and Harriet Cornell. The “no” votes all came from the five Ramapo Democrats: Alden Wolfe, Aron Weider, Ilan Schoenberger, Phil Soskin and Toney Earl. On the Planning and Public Works Committee Republicans Patrick Moroney and Christopher Carey voted yes, along with Democrats Michael Grant and Nancy Low-Hogan. The “no” votes were from Ramapo Democrats Ilan Schoenberger and Alden Wolfe. Legislator Aney Paul was not present for the vote. Legislator Schoenberger, when he was not cursing at one of his colleagues, had this to offer: the building should be retained so government can grow. That’s right – the big government, big spending argument. Legislator Aron Weider, who represents a district not exactly known for stellar planning, rudely questioned the methods of a professional engineering firm that did the parking study. The parking study showed that even without the Sain Building lot, there would be plenty of room for people to park following some modifications at the Allison-Parris County Office building. The parking study was done on a very high volume day, one that drew extra visitors for both jury duty and Law Day. Weider refuses to believe the facts, no matter how much information he is given. Schoenberger decried a lack of a “vision” for the county complex – something that apparently didn’t bother him when the bank building next door to the Sain building was sold. Or when the former RCC annex in Spring Valley was sold. I guess he has forgotten that overestimating sales tax revenue was what earned this county a $138 million deficit. And I guess he also believes that the Town of Clarkstown and the Clarkstown schools don’t need $500,000 annually in property taxes that they would receive when the Sain building land goes back on the tax roll. Perhaps the residents of Clarkstown should keep that in mind when they see Alden Wolfe’s name on the ballot in September for the Democratic primary for Surrogate Court judge. Elected officials have to think of the best interests of everyone, not just a select few. I was elected to put Rockland County’s financial house in order, something I am doing. Our deficit is now $10 million. It would be a lot smaller if Wolfe and the rest of the Ramapo Democrats would stop finding reasons to block the sale of the Sain Building. If the Ramapo Democrats cared at all about the future of Rockland County, they would get out of the way.